If you’re looking to experience pure luxury, miles above land, look no further than flying first class on one of the various airlines mentioned below. While these incredible first class products normally cost an arm and a leg, utilizing frequent flyer miles can put them within reach for many people. In fact, one of the best ways to maximize the value of miles and points is to use them for flying first class on International flights. Most would agree that the first class product of the Emirates A380 wins for style thanks to its blingy gold-plated suites. Then again, it might be because of the hot shower available at 40,000 feet. Inside your suite, you’ll find a full lie-down bed, a massive 27” flat-screen TV, a pop-up mini-bar, and a vanity mirror for those who like to “look good” in the air. In addition, you’ll find a full onboard bar where you can try a variety of premium drinks while mingling with other passengers. With service and amenities like this, even a 15-hour flight will seem far too short. Although Cathay Pacific lacks the cutting edge, fully enclosed suites, many frequent travellers often award Cathay Pacific for their consistent service and very comfortable fully lie-down beds. In fact, the thick beds feature 500-thread-count cotton duvets, pillows, and cushions. 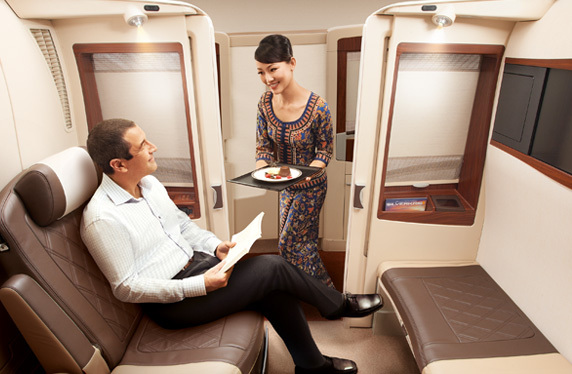 They also offer one of the most personalized experiences with just six first class seats per cabin. You’ll also enjoy in-chair massages while watching the latest in movies, TV, and music. Although Singapore Airlines is often credited with having the best service in the sky, they’re now also credited with having the first-ever double bed, which is perfect for a romantic rendezvous while flying to a new exotic destination. Toss in world-class food and a choice between Krug and Dom Perignon, and you have one fantastic flight ahead of you. You’ll also find a bed of your own, not one converted from your seat. 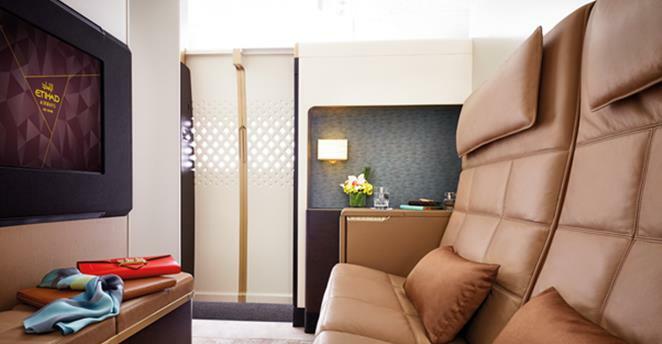 Etihad is famous for it’s First Class Apartments available on the A380. Not only are they the first airline to have a single-aisle configuration but they’re also one of the only airlines to offer a massive “apartment” as your first class seat. Not only are these “apartments” fully enclosed, but they’re also big enough to potentially hold a party for the rest of the people in first class. In addition, they also offer a great culinary menu along with an onboard chef. Want something different than what’s on the menu? Ask the chef! As you’ve probably noticed by now, most of the amazing first class products are owned by Asian or Middle Eastern airlines. However, Lufthansa is one of very few European airlines that also carry a wonderful first class product. While Lufthansa does have an amazing A380 product as well, their most famous product is their 747-400 flight, which gives each first class flyer a seat and a bed. In addition, first class passengers get the entire upper deck to themselves, making it feel like a private flight. As you can see, flying first class is a much different experience than flying economy. From hot showers at 40,000 feet to full lie-down beds, flying first class is an experience like no other. Many of these flights above can be booked using Aeroplan points, Alaska Airlines Mileage Plan points, or American Express Reward points. 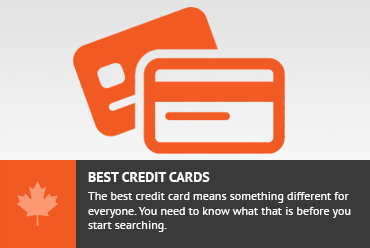 Some of the best credit cards for earning travel points for first class flights are the Alaska Airlines MBNA MasterCard, the American Express Personal Gold, and the TD Aeroplan Visa card. Don't subscribe All Replies to my comments Notify me of followup comments via e-mail. You can also <a href='https://www.creditwalk.ca/comment-subscriptions/?srp=4944&srk=2648578ecea05c83754707575dc5a494&sra=s&srsrc=f'>subscribe</a> without commenting.